G.L. Watson spotted at The Tree Shop, Loch Fyne. Peggy Bawn Press was created by Irish yachting historian, Hal Sisk, to publish Martin Black’s remarkable biography of Scottish yacht designer, G.L. Watson. We are particularly geared up to sell online from our Limerick warehouse via the secure payment page at www.peggybawnpress.com. Auckland – New Zealand Classic Yachts Ltd. This entry was posted in book, G.L. 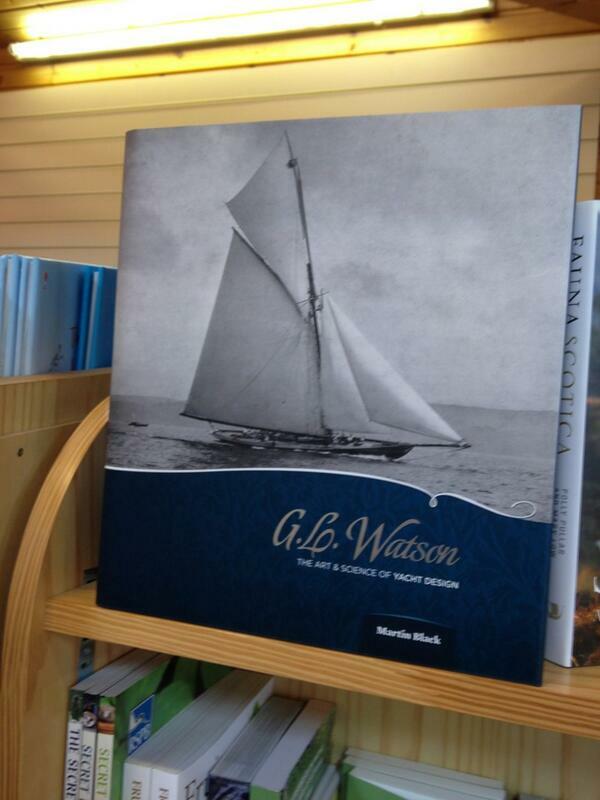 Watson, gift, Martin Black, object of desire, yacht design, yachting history and tagged giftabook, yachting history book. Bookmark the permalink.